Conant’s varsity co-ed cheerleaders perform at IHSA state competition. “5, 6, 7, 8,” shouts senior Annie Egan as the cheer team begins their pump up chant. “Yeah” and “Uptown Funk You Up” blast in the background as they warm-up. After the warm-up, senior Mucia Burke shares her words of inspiration and the coaches then give a motivational speech. Minutes later, the team performs. This is the pre-cheer ritual that precedes performances by the varsity co-ed cheerleading team, including the performance that placed second at IHSA this past weekend. The team has worked tirelessly to perfect their routine. “As a team we struggled to hit that perfect routine all year long. We constantly were modifying skills, always determined to improve and beat the last performance with each new performance,” said Egan. However, their persistence and determination ultimately brought them this far to their success. “We have had the most skills Conant has ever had, and definitely the most talented Conant has ever seen,” agreed senior Kassie Pritscher. The athletes’ perfection of routines and skills allowed them to perform a double up, double around—the hardest stunt sequence that any team has ever performed in IHSA. “At state, we were the trendsetters. The past few years, we have done a new stunt that was not done at state before. So we are willing to try something new at any time,” said coach Amanda Schweinebraten. The last performance of day two state was described as “the performance of a lifetime.” “I couldn’t have asked for a better performance to end my four-year varsity cheerleading career on. I am so blessed to have experienced this amazing year, and I couldn’t ask for better teammates or best friends,” said Burke. Senior Tricia Faso said, “When we took the floor, we stormed the mat and showed how much we were ready for this. From the start of the routine to the end, every person performed like they never had before; even the boys brought out sides we never saw before. 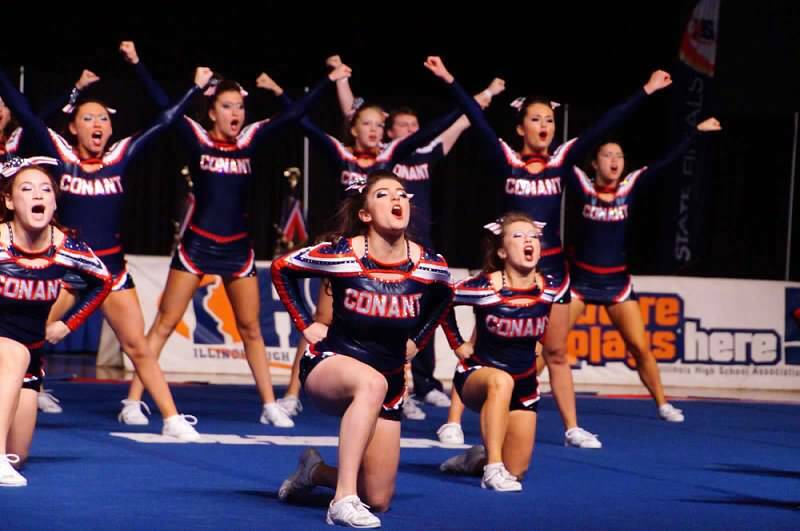 This year marks the third consecutive year Conant has made top three at the IHSA state competition, top three in every competition, and earned the MSL West championship title. “For many seniors, this second place let many of us leave high school cheerleading with a bronze (2013), silver (2015), and gold (2014) medal. Also, this was Egan, Burke, and Faso’s fourth time going to state—meaning that they went every year,” said Pritscher. “It was a huge honor to work with this team, and we will miss them,” says coach Schweinebraten. “When it seems your body can’t go on, you look around and see the 25 other athletes standing beside you in blood, sweat, and tears; you see your two twin coaches jumping up and down in excitement and cheering you on; and suddenly, you are invincible. There’s nothing we wouldn’t do for each other, and I wouldn’t take back one second of this year I have spent with my team. They are and will always be my family,” says Egan. See a video of the second-place performance here. 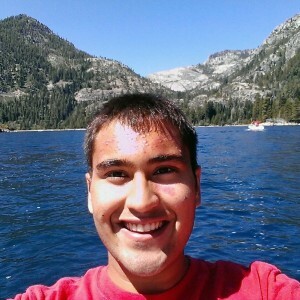 Kishan is a senior, and this is his second year as a sports editor. He is involved in BPA, Operation Snowball, HOSA, Math Team, the Education Internship Program, and Varsity Track and Field. In his free time, he volunteers at NWSRA and is a member of the Schaumburg Police Department Peer Jury Program. He believes life is incomplete without Harry Potter.